Businesses are invited to collaborate with the IINSPIRE LSAMP program as partners. Corporate partnerships provide professional development opportunities for IINSPIRE LSAMP students and faculty, including job shadowing and internships. We strongly encourage corporate partners to attend the IINSPIRE LSAMP Annual Conference as an opportunity to recruit students for research experiences or internships. 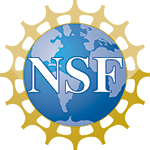 Join a network of institutions and partners who are committed to multicultural STEM student success. Offer STEM undergraduate research experiences and/or internships to IINSPIRE LSAMP students. Attend the IINSPIRE LSAMP Annual Conference to recruit multicultural STEM students for internships. Collaborate with IINSPIRE LSAMP campus directors to support STEM student success through professional development activities, mentoring opportunities, and other collaborative programs.